Blog posts might look straightforward, but if you’ve ever tried to write one, you may have found it was harder than you expected. Whether you want to start a blog as a hobby, as a step towards freelancing, or as a tool to promote your book … your blog posts need to be well-structured and well-written. Of course, blogging offers a lot of freedom. You don’t have to write to a specific length, in the way that you would if you were writing a newspaper column or a magazine article. You can write short, newsy pieces, long, in-depth pieces, or anything in between. 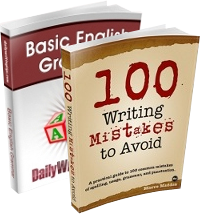 You’ve also got the freedom to pick your own topics – and to develop your own writing style. Perhaps you want to write nostalgic, gently humorous blog posts drawn from your own life … or maybe you’d prefer to create detailed, reassuring tutorials for new WordPress users. Whatever you’re writing about, though, and whatever your reason for blogging, your blog posts need to work. They need to have a recognisable structure … and they need to stick, more or less, to the point. The introduction should set the scene for your post and hook the reader. You might do this by asking a question, making a bold statement, or giving a quick anecdote from your own life. The main body is the real content of your post. It’s where you develop a particular line of discussion, share a story, or give your suggestions or tips on a particular topic. The conclusion wraps up your post. It’s easy to miss off – but it’s really important. It should sum up briefly and, ideally, offer the reader something to do next. Imagine that you’re emailing a friendly acquaintance as you write. I find that thinking about one reader helps me to get the draft of my post down as smoothly as possible. Jot down some brief notes for your introduction, then launch in with the first key point that you want to make. It’s often easier to flesh out the introduction once you’ve written the actual post. Avoid editing as you write. If you need to fix a quick typo or restart an occasional sentence, that’s okay – but don’t start deleting whole paragraphs at this stage. When you’re mid-way through a draft, it’s hard to see what needs to go and what should stay. Keep your paragraphs short. It’s harder to read on a screen than in print, so if you’re used to writing for books or magazines, you may need to cut your paragraphs in half. 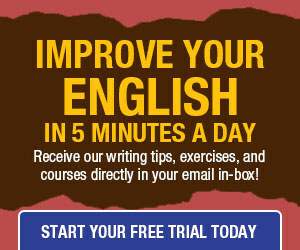 Keep (most of) your sentences short and straightforward. The occasional more complex sentence is fine – especially if you’re writing for an academic or well-educated audience – but mix things up with some short, simple sentences too. Include subheadings and/or bold text. These help to “signpost” important parts of your post for the reader – for instance, in this post, the different steps each have their own subheading so you can easily figure out where you are within the post. Add images where appropriate. Many bloggers like to start off their posts with an eye-catching image to draw the reader in. Images also help to create “white space” (the blank bits of the page around the words and images), which makes your post look more attractive and inviting. Add links to other posts (on your blog or elsewhere). One great advantage of writing online versus writing in print is that you can link to other resources. That might mean linking to an explanation about something you mention in passing, for instance, to help your readers who are new to your subject area. Look out for typos and misspellings. Your default spellchecker won’t necessarily catch all of these. Some bloggers find that it’s helpful to view their post in a larger size, or to preview it live on their blog, to help mistakes stand out. Check that your links are working. It’s frustrating for readers (and embarrassing for you) if a post goes live with broken links in it. Look for areas where your post could be more polished. In this post, for instance, I went back while editing to make sure that each of the “steps” had three bullet points, so that they all matched. I hope you enjoy blogging as much as I do … and if you have a great tip to share about writing blog posts, leave it in the comments for us!